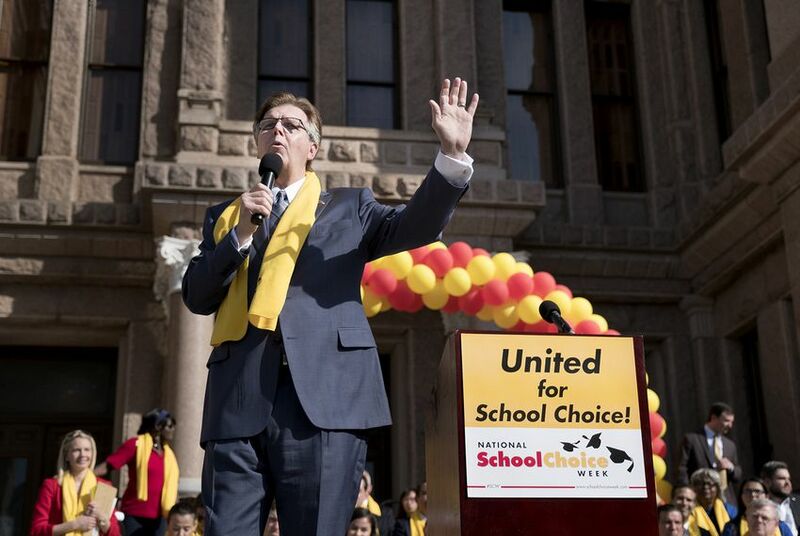 Top House education official Dan Huberty has said private school choice is dead in the House. Representatives showed they overwhelmingly support that sentiment, in a 103-44 budget amendment vote. The amendment is not the last word. The House and Senate will need to reconcile their budgets before sending a final version to the governor for approval. And separate legislation that would create a public subsidy for private education has yet to be heard in the House. Patrick’s office did not immediately return requests for comment on Thursday's vote. The House’s vote came a week after the Senate, led by Patrick, voted out Sen. Larry Taylor's Senate Bill 3, which would create two public programs subsidizing private school tuition. In a statement, Taylor said it was unfortunate that House members didn't hear the details of SB 3 before Thursday's vote. "Our bill saved money, gave more students opportunities to get an education better suited for their specific needs, and left more money in public education as a whole and even in individual schools," Taylor said in a statement. "I would hope that we would still have an opportunity to have those discussions." Rep. Hugh Shine, R-Temple, said no changes to the bill would persuade him to vote for it. "If we allow vouchers to start in any form or fashion, they can grow and advance and affect our public education," he said. "What they're calling 'choice,' this voucher situation, is erroneous." The floor substitute the Senate approved was dramatically different than the original, intended in part to appease skeptical rural legislators by carving out rural counties from participating in the programs. Rural constituents consistently oppose using public money to subsidize private education because they do not have access to many private schools. That tactic worked to get the bill through the Senate. But House members demonstrated Thursday that it wouldn’t be as straightforward in the lower chamber. Rep. Briscoe Cain, R-Deer Park, a "private school choice" supporter, tried to change Herrero’s amendment Thursday to allow subsidies for students with household incomes below a given baseline. He took language from SB 3 indicating that a family of three with an income below $75,078 would be able to use the tuition subsidy programs. “A lot of opponents of school choice say, 'This is only for the rich.' This amendment allows poor families to have a choice,” Cain said. His proposal failed 117-27. House Public Education Chairman Dan Huberty, R-Houston, has said a private school choice bill would not make it through his committee, drawing criticism from SB 3 supporters. Asked if it was dead to him as an issue, Huberty said, “I believe so, yes.” He voted for the amendment blocking money to the tuition subsidy programs. Of the 29 representatives targeted in the campaign, 26 voted Thursday to block money from funding "private school choice" programs. Legislative staffers Tuesday received a one-page report detailing changes to Senate Bill 3, which would exclude rural counties from participating in the private school subsidy programs and limit overall participation.